Some situations at the university may require the use of an air purifying respirator. For this reason, the university has an established respiratory protection program which outlines the requirements for use of respiratory protection, such as respirators, on campus. It is important to remember that use of a respirator must be based on a hazard assessment. Please contact OEHS to schedule a hazard assessment. Use of a respirator requires an area specific written respiratory protection plan. Templates for this are available on the OEHS website. 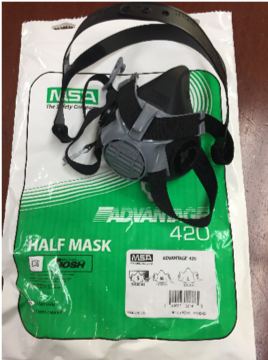 Use of a respirator requires that your respirator be tested on you to ensure that the fit is correct and it will provide the required protection. You must be trained in the proper use of a respirator prior to using one. You must be provided with your own dedicated respirator—no sharing. You must properly store, maintain and clean your respirator after each use. For the complete University of Utah’s Respiratory Prevention Program click here.